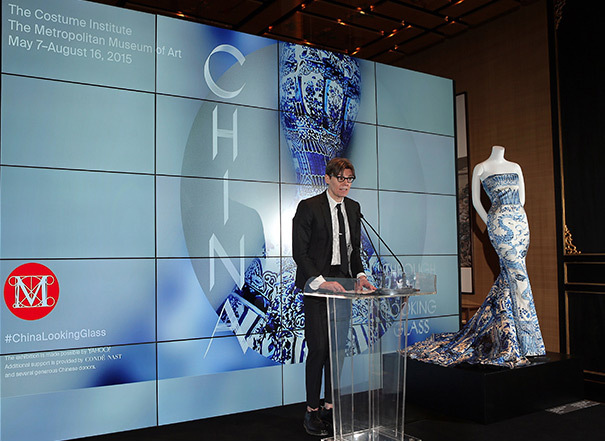 In a press conference held earlier today in Beijing, The Metropolitan Museum of Art has officially introduced the Spring 2015 exhibition called, China: Through the Looking Glass. The exhibition will delve into the deep, and enduring influence that Chinese art and film has on Western fashion. The press briefing was held in the Forbidden City, and featured a display of some of the images and items that would be included in the exhibit this spring. Some of the items presented were a 2004 Yves Saint Laurent gown designed by Tom Ford, a 1984 Chanel beaded gown by Karl Lagerfeld, and a 2005 Roberto Cavalli creation that featured a print inspired by Chinese porcelain vases. The exhibit will be shown at the Met’s Chinese Galleries, and the Anna Wintour Costume Center from May 7th to August 16th. 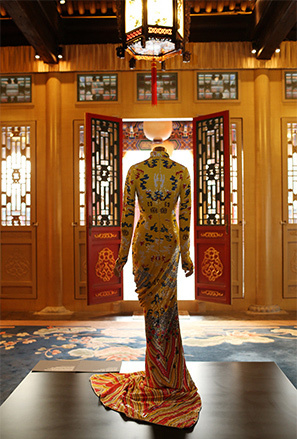 Over 130 haute couture and ready-to-wear designs will be showcased, along with traditional Chinese artifacts made of jade, cloisonné, lacquer, and porcelain. A series of Chinese imagery will also be presented, tracing the evolution of Chinese art, fashion, and culture from Imperial China to the present People’s Republic of China. The esteemed guests who attended the press briefing include Met Director, Thomas Campbell; Palace Museum Director, Shan Jixiang; U.S. 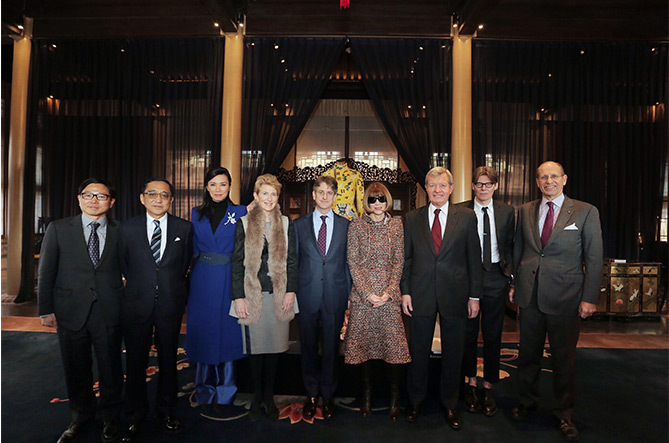 Ambassador to China, Max Baucus, and Condé Nast Artistic Director, Anna Wintour. Maxwell K. Hearn, and Douglas Dillon of the Met’s Department of Asian Art also attended the briefing. Internationally-acclaimed filmmaker, Wong Kar Wai, was also in attendance to discuss the role of film in the exhibition. As the exhibition’s artistic director, Wong Kar Wai highlighted the impact of Chinese films on western fashion by showing a montage of film clips. The montage will become part of the exhibit this spring. To celebrate the opening of the exhibition, the Costume Institute will hold its annual benefit on May 4, 2015. An array of prominent personalities, like Jennifer Lawrence, Gong Li, and Silas Chou will attend the benefit.